Are you currently looking at AgeMatch? Is this the reason why you’re at this AgeMatch review? Well, you have come to the right place because the first thing that you need to do before signing up is reading reviews. Dating nowadays is easier even to people who are too busy with their lives or simply just too embarrassed to come up to someone. But, with the dating sites today, everything is more accessible and possible. Dating sites come in different categories, including people who are into interracial dating, Asian dating, and people who want to date someone who is older than them. One of the sites that cater to older people is AgeMatch. If you’re having second thoughts about joining AgeMatch, then reading the information below will help you decide. 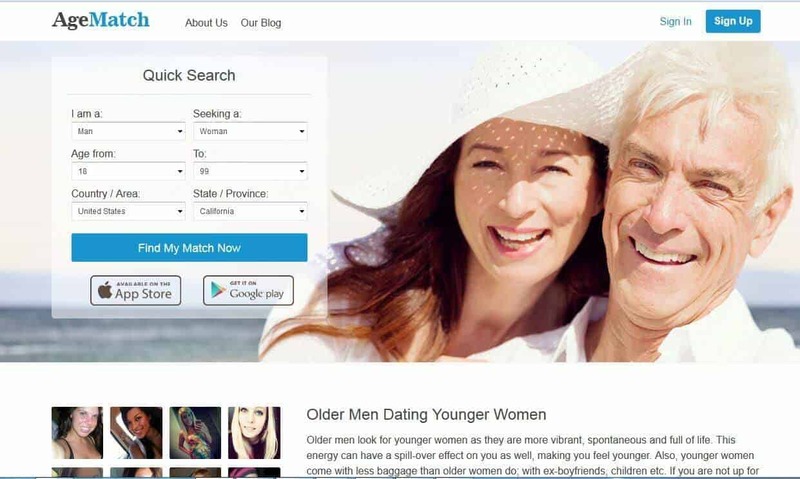 AgeMatch is a dating site that caters to a wide variety of audiences. The members here are older and single men and women who are looking for a young date. Of course, the younger ones are also looking for older ones that they want to date. This site was launched in the year 2001 and is known as the first site that caters to age gap dating. What’s right about this site is that they have a significant user base, wherein there are a lot of older men compared to younger women. This means that if you are someone who is looking for an older man who is stable financially to spoil you or pamper, then AgeMatch is the one for you. After signing up and completing your profile, the next thing that you need to do is to start getting to know other members. You can manually search for them, or you can also check the suggested members by the computer itself. You can do this by swiping to yes or no depending on your preferences. When it comes to mutual likes, a channel of communication will open. This will help you and that member to have something to talk about. There are also forums and blogs where you can interact with other members. So joining forums and blogs will surely help you find that date that you are looking for. You can pay conveniently using your PayPal account, check card, and credit card. The prices can change without prior notice, so it would be wise to check the site once in a while. Fortunately, AgeMatch has an app for Android and iOS users. All you have to do is sign in, and you can start looking for single people around your area. This will surely make things easier for you because you can search no matter where you are or what you are doing. Just like in their desktop version, you can see the same people who are looking for someone who is older or younger than them. Majority of the people here are looking for life experience and maturity. This means that they are open-minded and are willing to experience stuff. With all these being said, it would be nice to try out AgeMatch if you are looking for someone with whom you have a significant age gap with. They also have a paid membership which you can subscribe to if you want to make use of their features more.